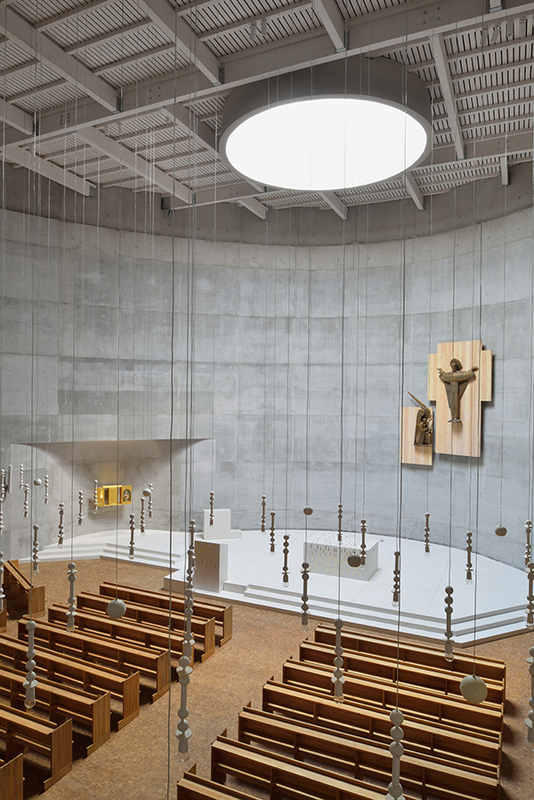 The holy space in the urban non-space establishes a number of archetypes, positioned in a sequence throughout the built complex. 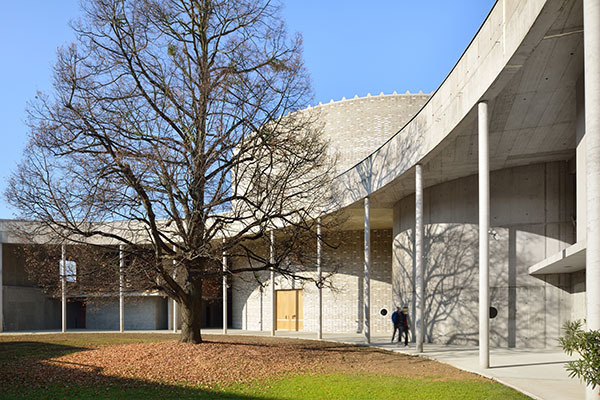 The decision to use a pantheon ground floor is one of the most visible architectural-spiritual experiences in Slovenia. The urban structure of the 20th century city is defined in its purpose and time of creation by its arterial roads; new centres – urban poles – are thus created, whether in a planned or unplanned way, on their intersections. New architecture along arterial roads is designed as a free-standing object, a symbol vying for recognisability, with no aspiration to create a continuum of the ground level or to provide space for pedestrians. In order to establish a holy place in the spaces of urban self-organisation and measuring of power – in areas intersected by arterial and ring roads, in urban spaces that have not yet achieved a quality structure, in the embrace of the contemporary urban non-space – is an extremely demanding and delicate task. Sanctuaries have never merely been self-complacent symbolic markers of space, nor have they ever been just functional premises; their architectural quality depends on the connection of the building with the qualities of the given space, even if these qualities are limited or practically non-existent. client: Salesian Inspectorate and Parish St. John Bosco.